This a 1941 USMC build done the right way. 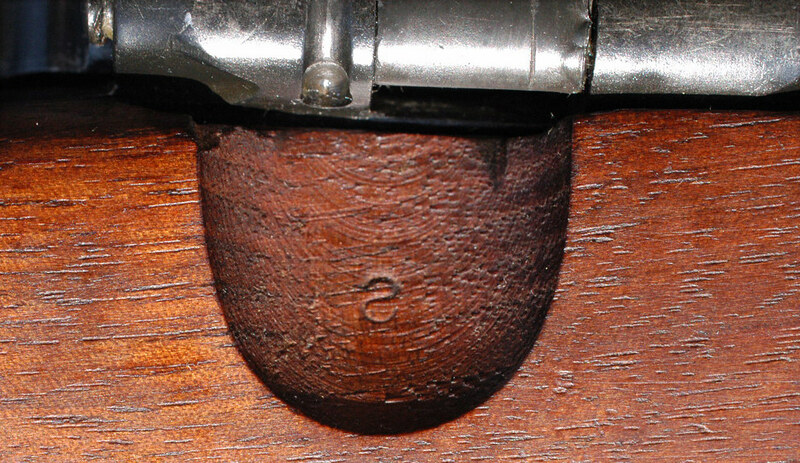 It began as a 1929 NM 03 Springfield with star gauged barrel. 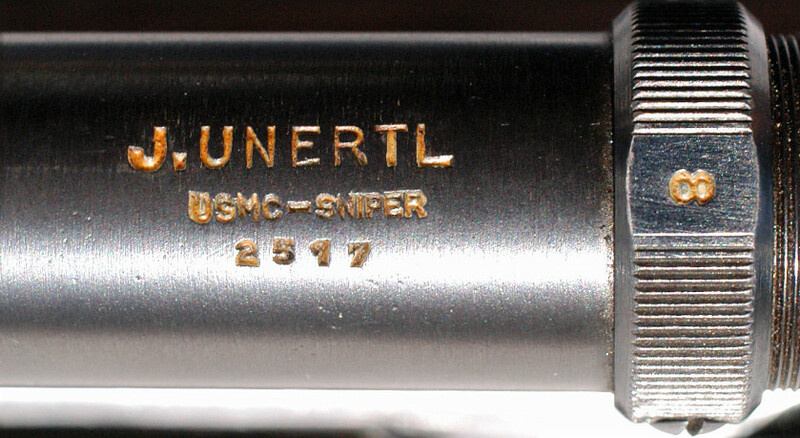 The scope is an original USMC Unertl unit from WW2. 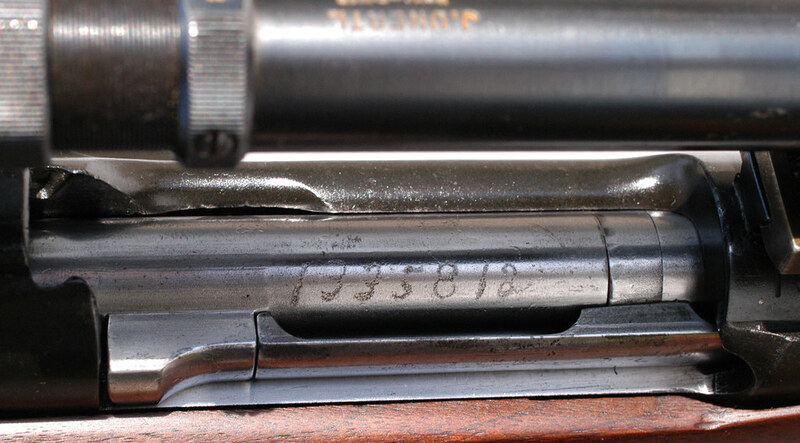 The bolt is correctly polished with the serial number electro-penciled on to it. I have shot this rifle using a reproduction USMC scope and the results were good but the repro mount was a POS. Don't ask me why I never shoot expensive original scopes! Wow, that is a beaut, Larry. I'm looking at building a 1941 USMC sniper rifle for the CMP vintage rifle match. It isn't going to be a serious attempt to reproduce a 1941 (I'm using a Rock Island high number rifle with a very good Sedgeley barrel) but am uncertain about the optics. I would like to use the Leatherwood repro, but keep getting negative feedback on the mounts. 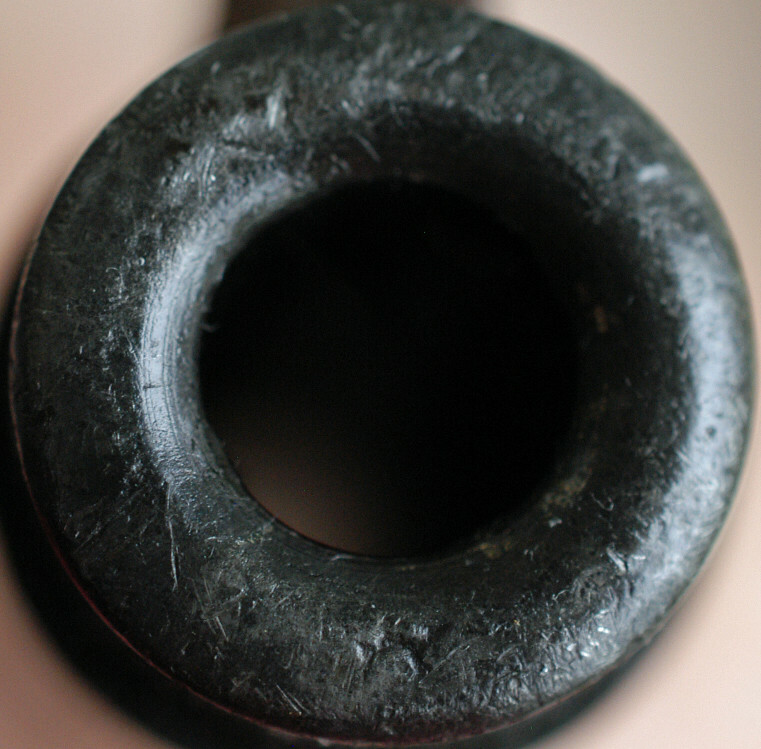 In your experience, are the problems with the repro mounts surmountable? I've got several vintage 3/4" tube external adjustment scopes...Fecker, Lyman, and Litschert. Would it be possible to use the Leatherwood repro scope with these vintage original mounts/rings? Would it help? The rifle needs to be re-crowned. It can be done without damaging the STAR mark and will improve accuracy quite a bit. A very nice rifle and needs to be shot! Larry, your rifles, as well as your photographs, are incredible! I hope you will consider creating a single thread in the Photography section--I'd love to see them all in one place. Regardless, thanks for sharing them! Check out DZ Arms, if you haven't already, for their Unertl Mounts. Very high quality and made right here in the USA.